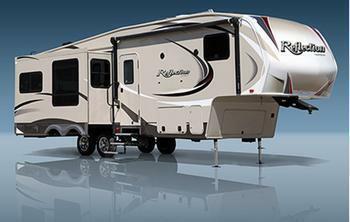 Grand Design RV is recalling 92 model year 2019 Grand Design Reflection travel trailers, models 285BHTS, 287RLTS and 297RSTS. The wires to the 50 amp mini-breaker may be installed incorrectly, leaving the circuit unprotected. Grand Design will notify owners, and dealers will inspect the 50 amp mini-breaker to make sure that it is wired correctly, re-wiring it as necessary, free of charge. The recall was expected to begin November 12, 2018. Owners may contact Grand Design customer service at 1-574-825-9679. Grand Design's number for this recall is 910016.